Getting enough rest is a struggle many individuals face. The Centers for Disease Control and Prevention report that approximately 50-70 million adults experience notable sleep disorders. 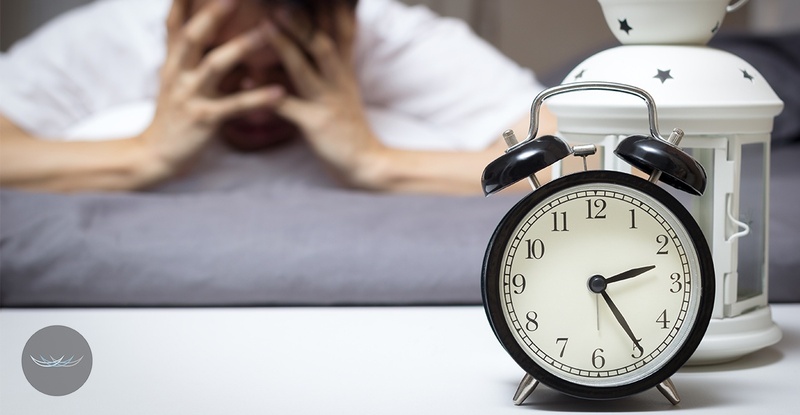 These sleep disorders have critical effects on lifestyle--mental, emotional, and physical. Inadequate sleep quality leads to a wide range of associated medical issues. Harvard reports that sleep deprivation can lead to serious medical conditions such as high blood pressure, heart disease, atherosclerosis, diabetes, and obesity. Cures for sleep conditions range anywhere from surgery to medication. However, a potential solution to sleep maladies may lie within our own mouths. New research is showing a strong link between dental health and its connection to our quality of sleep. Grinding your teeth is a fairly common phenomenon. It occurs for a variety of reasons such as stress, emotional disturbances, and simple habit. Although common, it produces negative effects on not only our dental health, but also our sleep quality. Grinding, or bruxism, occurs when the teeth clench and grind together while we sleep. This habit wears tooth enamel and can cause chipping, cracking, and other issues such as inflamed and receding gums. Bruxism also leads to increased headaches and pain in the muscles of the face and neck. Tension grows within these muscle groups and produces mild to extreme pain that it extremely difficult to function with. Successful treatments for grinding include protective mouth guards, relaxation techniques, and anti-inflammatory medication to reduce pain. This condition may initially start out as mild or occasional but leaving it untreated often results in increased severity. Mild cases of bruxism can sometimes alleviated with generic mouth guards purchased at stores. Even better, or if the symptoms aren't improving, consult an experienced dentist. A custom-fitted mouth guard may be best to ensure your teeth and jaw are property protected. This serious health concern is caused by blockage in the airway, causing oxygen deprivation and poor sleep quality. While sleeping, the airway may become blocked by the tongue or swollen tonsils and adenoids. Another common cause occurs when the jaw relaxes and slips backward, narrowing the airway. Although this is primarily an adult-related condition, children have developed this disorder. This condition may range from mild to severe but major health risks are associated with it if left untreated. Frightening statistics report that 80-90% of obstructive sleep apnea cases are unknown or untreated. Many of these cases have associated risk factors that increase their severity. Because of the potential severity of this disease, diagnosis and treatment should begin immediately. Visit your dentist or primary care physician and express your concerns. An exam will be performed to look for obvious clues of sleep apnea. Sleep tests are also performed to gauge the level of oxygen your body receives while asleep. These tests measure the amount of times you stop breathing. If the pauses between breaths are frequent and greater than 10 seconds or the total oxygen saturation within your blood is at 80% or below, aggressive treatment will begin. Even seemingly "mild" cases of sleep apnea are treated as serious and your doctor or sleep specialist will recommend the appropriate path. Treatment options range from surgery to special equipment known as PAP, BiPAP or CPAP. These machines use a variety of oxygen methods to help keep the airway open and clear of obstruction while you sleep. Amazing differences in sleep quality and overall health have been seen after only one night's use. Whether you feel as though your medical issues are mild or severe, take time to consider the possibility that your dental health is to blame. Teeth, jaw, and airway issues impact the entire body is a variety of ways. When our dental health is carefully monitored and at optimal level, our entire body thanks us with better energy, strength, and quality of life. For more information on dental health and its powerful connection to our overall well-being, contact your dentist today! Are you one of the millions of adults in need of adult braces who are unhappy, self-conscious or even embarrassed of your smile? Many adults spend their entire lives covering their mouths when they laugh, smile or talk. They feel stuck because they do not want to wear adult metal braces for years or they are concerned that other corrective teeth straightening procedures could be too invasive or too expensive. Now, there is an effective, safe and affordable cosmetic braces solution that fits your lifestyle. Six Month Smiles.